Stamped with Theatre Museum, V.A.M. stamp. Associated Production: Ultravox. Presenter: Brighton Rock. 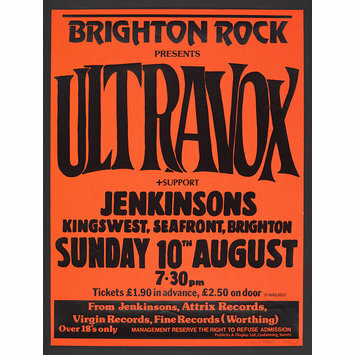 Performer: Ultravox. Jenkinsons, Seafront, Brighton. 10.8.1980. Performance category: rock and pop. 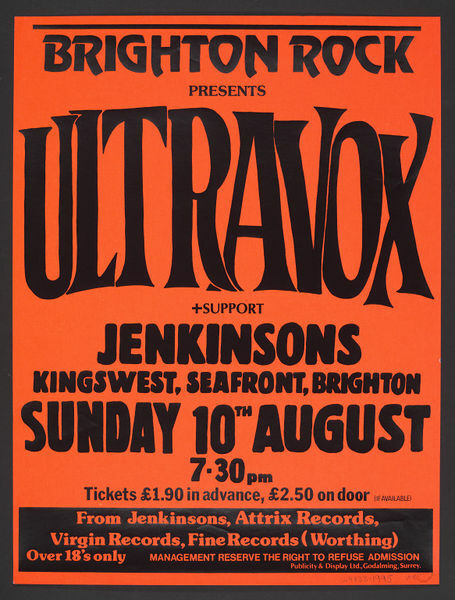 Ultravox were supported by an unnamed artist. Tickets were GBP1.90 in advance and GBP2.50 on the door.